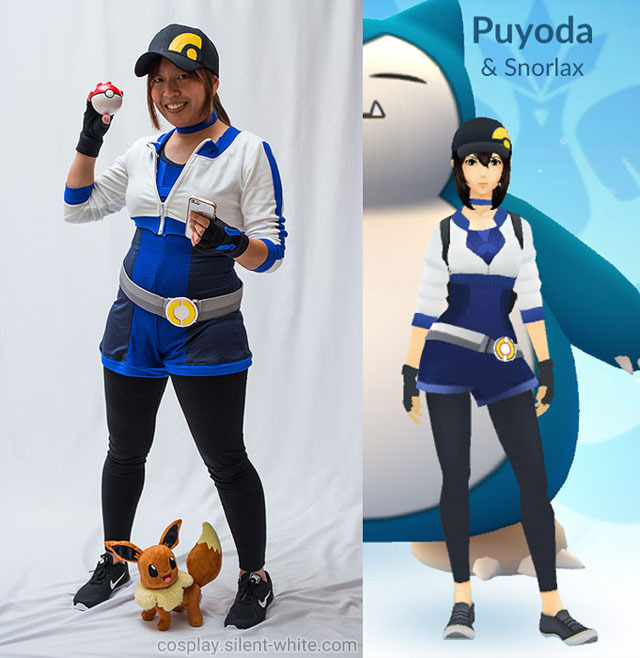 I finished my Pokemon Go Trainer costume for Halloween! Since last time, I needed to work on the hat, belt, and gloves, so I’ll go over those now. Fortunately, the hat was very easy! 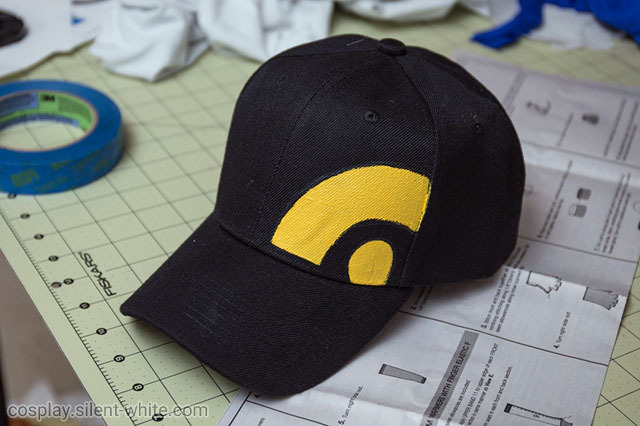 I bought a plain black cap off of Amazon, and then I mocked the design in Photoshop. I printed it out and used it like a stencil by marking with a white fabric pencil. I used yellow fabric paint, and I painted a few layers, letting it dry between layers. On the belt, I started with two strips that I cut out of pleather, and then I used hot glue to glue them together. That is the base of the belt. For the cover, I bought fabric in two different shades of gray. (I forgot what type they are. I found them in the knits section.) 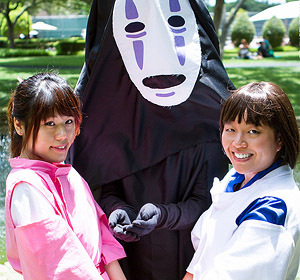 First, I sewed them together to form one long tube. Then I made the two seams line up and pressed them open. When I flip it inside out, it looks like this! This is the cover, so that half of the belt is dark gray and the other half is light gray. As for the design on the buckle, I started with a design in craft foam, and then I used the sandwich method to cover it in Worbla. From there, I stopped taking photos because I was so focused on finishing it in time. 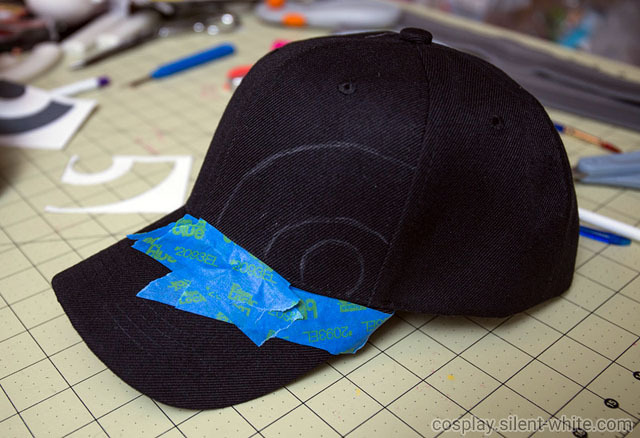 I covered it in layers of Gesso and then sanded it smooth when it dried. After that, I painted it with acrylics and a paint pen for the orange part. It’s just hot glued on the parachute buckle afterwards. 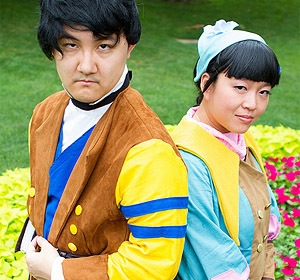 The gloves were a pain and took a few tries. I started with McCall’s M7397, but the pattern was an odd fit on my hands. The fingers felt too tight while the rest felt too loose. I ended up having to alter it to match my hands. 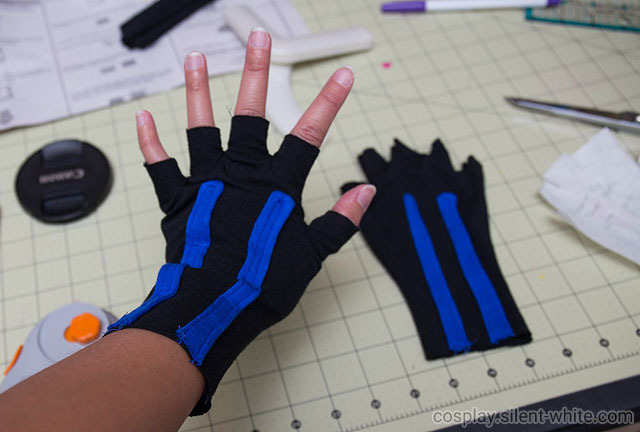 After cutting out the glove pieces, I added the blue stripes to the back of each glove. 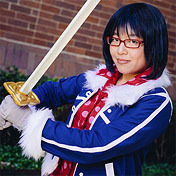 The glove uses cotton knit, and the blue stripes are the same jersey knit that I used on the jacket. Then I sewed both pieces of the gloves together. The last part was adding the cuff. 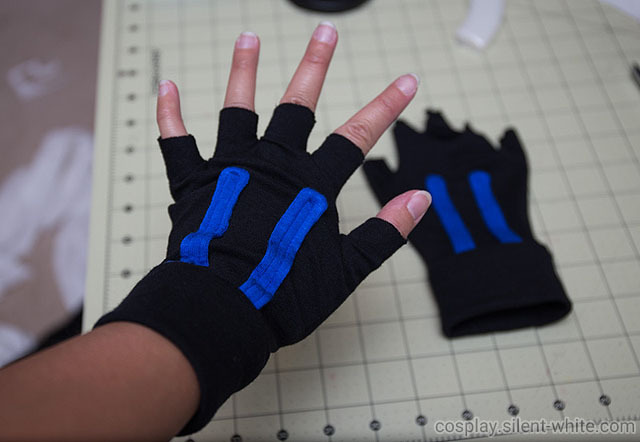 I did 4 layers of the black fabric and sewed it onto the glove. It didn’t quite turn out the way I was hoping but… I don’t like making gloves, so I’m leaving it as is!